This exhibition showcases the rich history of the county through original artwork and selected artifacts borrowed from local collectors. 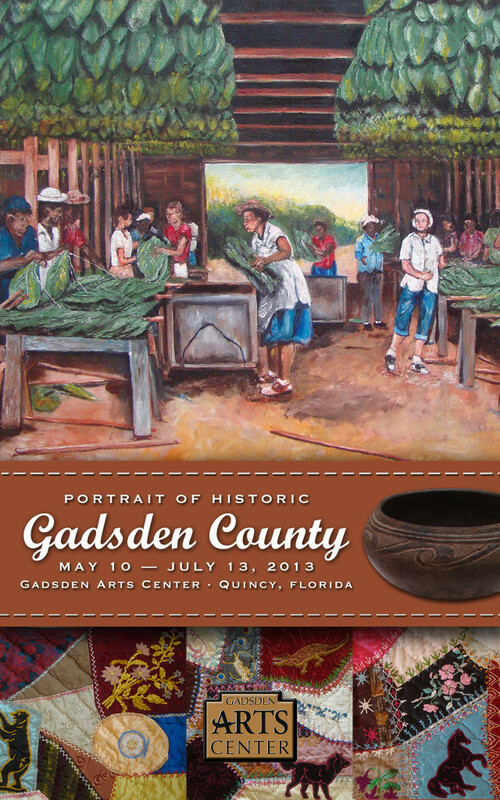 Gadsden County’s narrative includes Native American culture, pioneer settlers, Antebellum society, African-American leaders, world famous shade-grown tobacco, and the legend of the Coca Cola connection. Contemporary artists will exhibit new artwork representing Gadsden County history alongside borrowed artwork and artifacts. The exhibit coincides with the release of Arcadia Publishing Company’s “Images of America: Gadsden County” written by local authors David Gardner, Joe Munroe and Dawn McMillan. A Portrait of Historic Gadsden County is included in the Viva Florida 500 commemoration, the state of Florida’s initiative to promote 500 years of Florida history – its people, places and cultural achievement – on the 500th anniversary of Ponce de Leon’s arrival here.